some ideas in it. I knew I had a story to tell, but I had to quiet my insecurities. I wondered if other writers ever felt like me. I wondered if my writing would be good enough. I wondered if I would be prepared to handle the mixed emotions which might accompany looking back at some of the issues which I had worked so hard to come to peace with over the years. I wondered if I could tell my story in a way which would respect anyone who was remotely involved. Needless to say, I had a lot of questions. But God had all the answers! He wanted me to let go and trust that He would guide me every step of the way. I’d love to say that once I made up my mind to get on with my story, I wrote with confidence everyday, but that would not be true. Some days were easy; others were a challenge. I had to admit I needed God’s help every step of the way. I could not do it alone. I felt like quitting at least once a week, for one reason or another. In the beginning, I wrote at the end of my work day, which was not easy. I was a middle school counselor who dealt with some pretty emotional issues throughout the day. Most days I wanted to come home, collapse in my overstuffed chair, and take a nap. But purpose would not let me rest. I knew God had given me an assignment, regardless of my fatigue. At that point, I was excited and proud to tell others I was writing my story. But I had to find the time to write. My purpose was to encourage women that they could find hope for recovery through developing an intimate relationship with their Heavenly Father. Everything I wrote would support that message. I was on a mission to help others. In the process, God was on a mission to help me. You see, He understood me better than I understood myself. While I was convinced I was healed and whole, God knew I needed to understand more about Him. I needed to comprehend His unconditional love for me. And that, my friend, is an ongoing process. I still don’t have it all together, as much as I would like to believe I do. I am a work in progress. Early on, I decided to write about the people in my life whose lives influenced me as a little girl. Understanding where I came from was crucial in helping me understand the foundation of my self-concept. Out of that desire grew my chapter entitled, “Faces.” I went back to my roots in a small town in Maryland. I began seeing the faces of various members of my family: my mother and father, sisters and brothers, cousins, aunts, uncles, grandparents, and the like. I even remembered colorful people from my old Methodist church and certain mentors from various schools who touched my life. I began listing ideas as fast as they would come. All the while, God was doing something special in me. He was reassuring me He had been with me all along, even when I didn’t know Him. What a revelation! I had to keep going! I knew I was on to something! Are you believing that God wants you to write? By now, you have probably realized your purpose in writing. Now begin writing. Pray and ask God to help you every time you sit down. No matter how insignificant you think the idea is, just write. Some chapters will be longer than others. Just write. That’s okay. You can drop some things and add others later. Some people like planning their entire book through an outline which goes from the beginning to the end. That’s not what I did. I basically started at the beginning of my life and listed some thoughts daily in my writing journal. Those thoughts then became a chapter. I later moved some chapters around to make the reading more interesting and captivating. We’ll talk about that later. Are you feeling a little overwhelmed? Insecure? Inadequate? Then welcome to the writing world! Great things are born out of frustration, pain, and challenge! Keep going! Somebody is waiting to hear your story! Trust me. I know! How do you know if God wants you to write about your life? It’s simple. Everybody has a story to tell somebody; that’s what my grandma used to call a testimony. While some are called to pick up the phone and encourage a friend, others may be called to say a kind word to those whom God sends across your path from time to time. Still others may be called to put pen to their thoughts and reach a wider audience. If you have a desire to write your story, perhaps God is calling you to do just that. What do you have to lose? Why not get started now? Don’t try to figure out how much time it will take to write or how much it will cost to publish your book. We’ll get into that later. 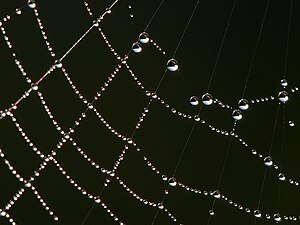 In my last post, I described webbing and making lists as two ways to begin thinking about possible events to include in your story. For those who have kept journals over the years, you probably have a wealth of ideas. However, you may not want to include every detail of your life in your book. Then how do you decide what to include? Pray, pray, and keep praying. Every time I sit down to write I pray. When I get stuck, I pray. When I get discouraged, I pray. When I felt like giving up, I prayed. Yes, I said “felt like giving up!” I cannot count how many times I felt like quitting when writing my story. For some of you, the hardest part will be getting started. My purpose was to encourage women that no matter what struggles they had, God was able to bring them through and turn their pain into pearls. Once I determined my purpose, I had the steering wheel! Everything I wrote was driven by my focus statement. In the beginning, I must confess, I had little direction. I just wanted to write, and my first draft reflected that. One of my early readers commented that I really had three books in one. I mentioned this before. That’s when I knew I had to develop a focus. Writing about what my family ate for dinner on the Fourth of July, 1958, was not going to advance my story. Again, I had to decide what was essential to advancing my story. What is your purpose? Take time this week and write one sentence which will state why you are writing. It can not just be to write about myself. What do you want readers to learn or gain by reading your book? Once you write your purpose, you will find direction in choosing events to include in your book. If you would like me to look at your purpose statement, include it in your reply to this post. Aren’t you excited? Writing THE PRICE OF PEARLS was one of the most challenging but rewarding things I’ve ever done. I remember going into a Christian bookstore once, looking around and thinking, “There are so many books written already, surely there’s no need for me to write another!” Then I heard, “But nobody has written your story.” I leave you with that thought and this scripture to encourage you to get started. Whatever your style, just get started! Some of you might like to do some webbing. That’s where you draw a circle, put your name in the middle and begin making a web of events that have happened to you over your lifetime. By the time you finish adding details that come to your mind, you’ll actually have something that looks like a spider’s web. How cool is that? You can add feelings to events, sensory details–what you saw, what you smelled, what you touched, what you heard–as you spend time letting your mind take you back to specific events. Nothing is to be judged as good or bad. Everything that comes to your mind is important. Remember: You’re brainstorming! Some might call it free-falling. Whatever you feel or think, just put it down. Eventually you will find yourself drawn to certain events more than others as you continue to pray and ask God to guide you where He wants you to go. In my memoir, The Price of Pearls, I began by focusing on my early years growing up in a small rural community in Maryland. I wanted the reader to understand the values which shaped how I saw the world. I also wanted to set the stage for a critical event which hindered my ability to trust others. I also knew early on that I was writing to encourage women and that my primary audience would be young adult women to those well into their senior years. However, I believe my story certainly appeals to men as well as women. Our journeys may not be the same, but we share common threads of disappointment, disillusionment, and hope for a better day. Having said all of that, my hope is that you will write your story. As someone recently told me, “We all have a story.” Whether you choose to write for yourself, your family, or for a wider audience, it’s time to get started. In my next post, we will look at some of the other events I chose. Stay tuned. I’m excited that you chose to begin your writing journey!